A thermodynamic process is defined as a change from one equilibrium macrostate to another macrostate. The initial and final states are the defining elements of the process. 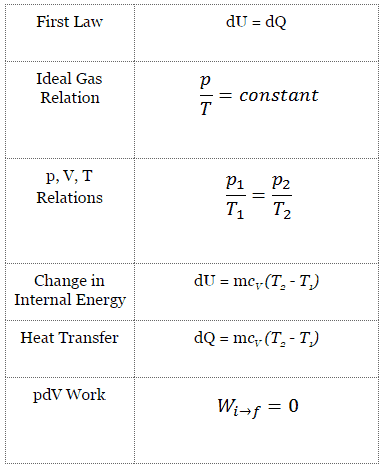 During such a process, a system starts from an initial state i, described by a pressure pi, a volume Vi and a temperature Ti , passes through various quasistatic states to a final state f, described by a pressure pf, a volume Vf , and a temperature Tf. In this process energy may be transferred form or into the system and also work can be done by or on the system. 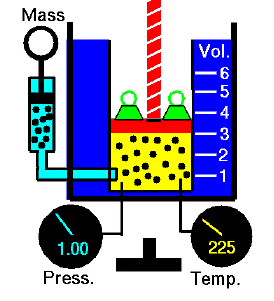 One example of a thermodynamic process is increasing the pressure of a gas while maintaining a constant temperature. 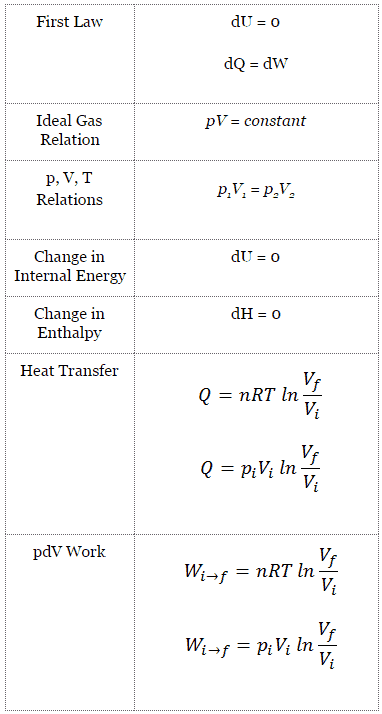 In following section, there are examples of thermodynamic processes that are of highest importance in engineering of heat engines. 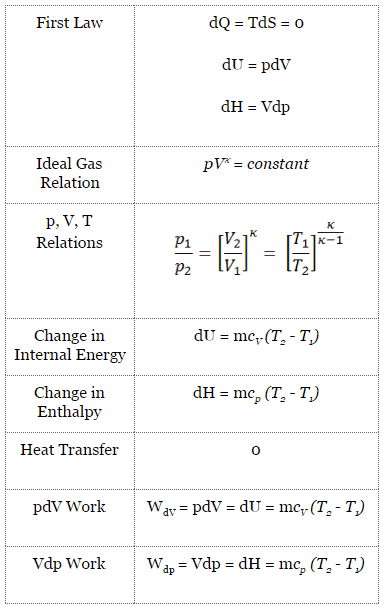 In thermodynamics, an irreversible process is defined as a process that cannot be reversed, process, that cannot return both the system and the surroundings to their original conditions. 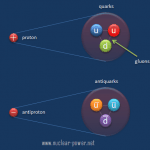 During irreversible process the entropy of the system increases. A process that eventually returns a system to its initial state is called a cyclic process. At the conclusion of a cycle, all the properties have the same value they had at the beginning. For such a process, the final state is the same as the initial state, and so the total internal energy change must be zero. 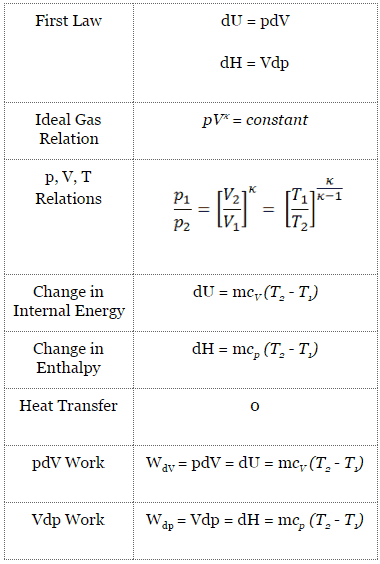 It must be noted, according to the second law of thermodynamics, not all heat provided to a cycle can be transformed into an equal amount of work, some heat rejection must take place. 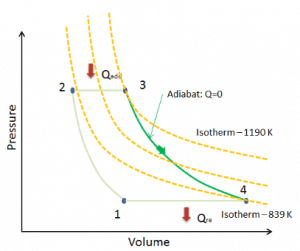 The thermal efficiency, ηth, of any heat engine as the ratio of the work it does, W, to the heat input at the high temperature, QH. ηth = W/QH. 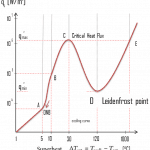 Isentropic process is a special case of adiabatic processes. It is a reversible adiabatic process. 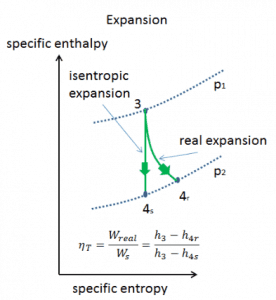 An isentropic process can also be called a constant entropy process. An isentropic process is a thermodynamic process, in which the entropy of the fluid or gas remains constant. It means the isentropic process is a special case of an adiabatic process in which there is no transfer of heat or matter. It is a reversible adiabatic process. An isentropic process can also be called a constant entropy process. 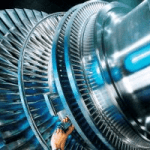 In engineering such an idealized process is very useful for comparison with real processes. 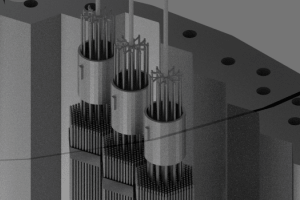 P-V diagram of an isentropic expansion of helium (3 → 4) in a gas turbine. An adiabatic process is a thermodynamic process, in which there is no heat transfer into or out of the system (Q = 0). The system can be considered to be perfectly insulated. 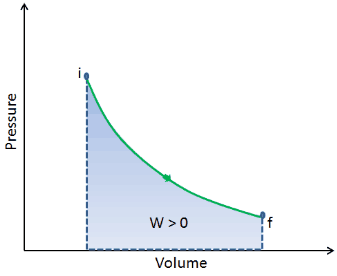 In an adiabatic process, energy is transferred only as work. 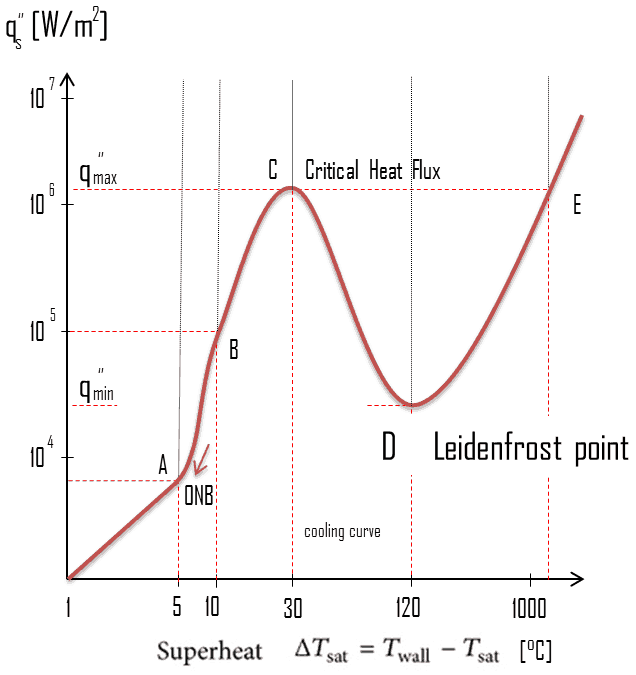 The assumption of no heat transfer is very important, since we can use the adiabatic approximation only in very rapid processes. In these rapid processes, there is not enough time for the transfer of energy as heat to take place to or from the system. 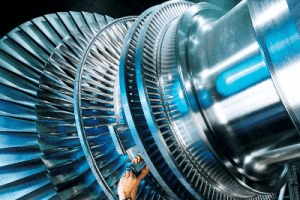 In real devices (such as turbines, pumps, and compressors) heat losses and losses in the combustion process occur, but these losses are usually low in comparison to overall energy flow and we can approximate some thermodynamic processes by the adiabatic process. 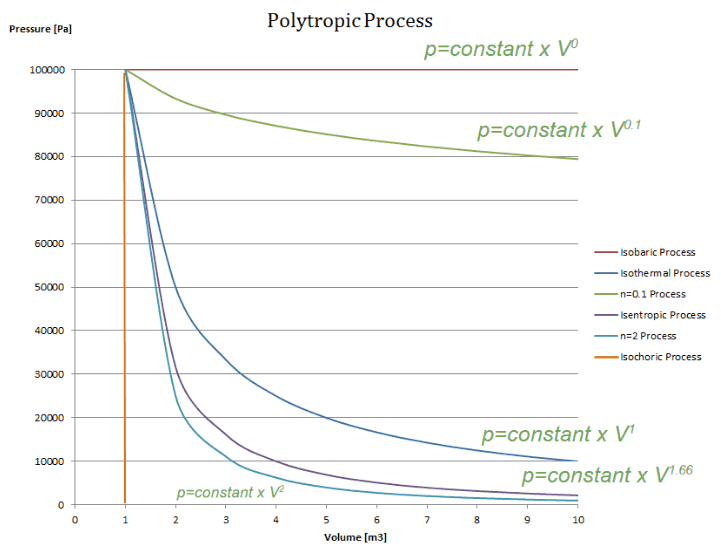 An isochoric process is a thermodynamic process, in which the volume of the closed system remains constant (V = const). 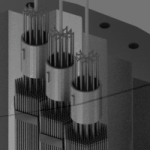 It describes the behavior of gas inside the container, that cannot be deformed. 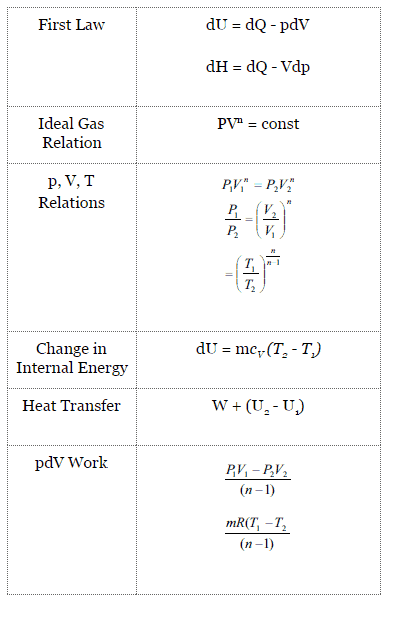 Since the volume remains constant, the heat transfer into or out of the system does not the p∆V work, but only changes the internal energy (the temperature) of the system. 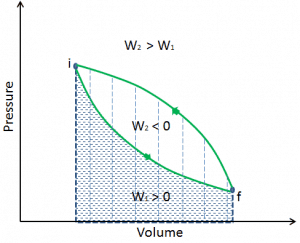 In engineering of internal combustion engines, isochoric processes are very important for their thermodynamic cycles (Otto and Diesel cycle), therefore the study of this process is crucial for automotive engineering. 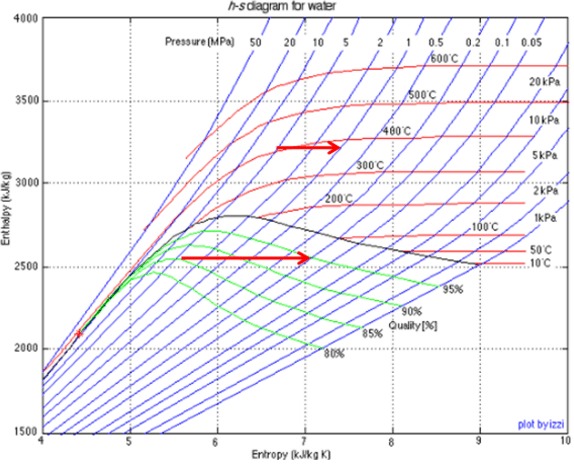 Throttling of the wet steam is also associated with conservation of enthalpy. But in this case a reduction in pressure causes an increase in vapor quality.